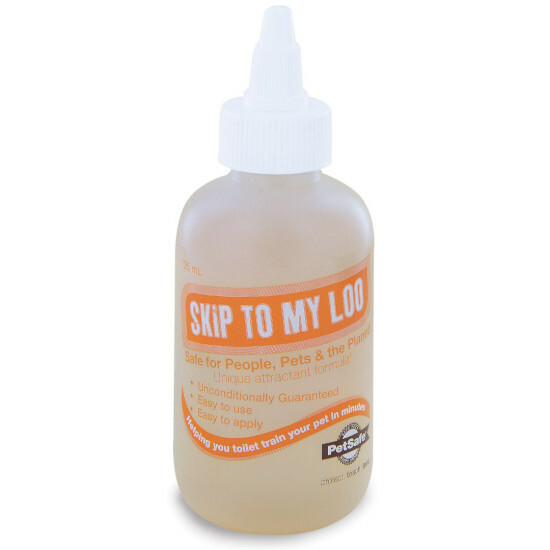 Perfect for potty training, the unique scent of Skip To My Loo is designed to encourage your pet to use the toilet in a specific spot. Use it in a corner of your yard outside to keep your pet’s waste confined to one area. You can also use it on the Pet Loo to help train your pet. The scientifically formulated solution mimics animal urine because pets prefer to use the bathroom in the same spot as other animals.